Colourful party invitations inspired by the much-loved book Dear Zoo. 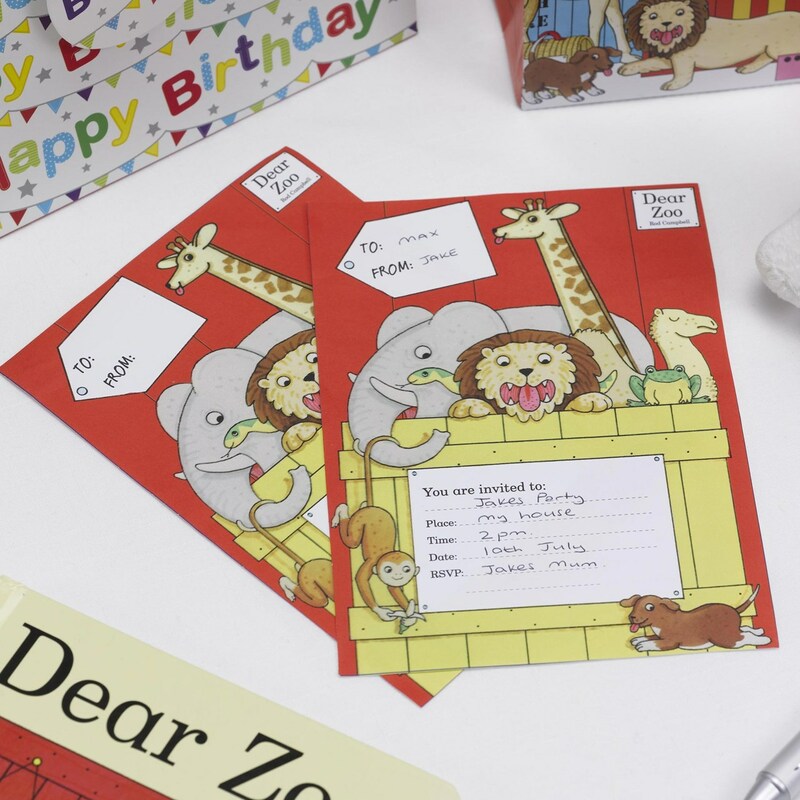 Featuring creator Rod Campbell’s original artwork, these invitations are part of a comprehensive range of Dear Zoo party ware and accessories. Adorned with favourite characters from the book, these colourful invites are the perfect way to announce your little one’s party details. Each pack contains 10 Invitations and 10 Envelopes.